Total dry bulk throughput fell by 7.3% compared to the first three quarters of 2017. The strongest decrease could be observed in the agribulk and iron ore segments. The total volume of agribulk handled was clearly lower than last year (-18%). This can be attributed to a number of factors, including less inbound shipments from South America due to poor harvests. In addition, lower wheat prices meant that Europeans consumed more locally produced wheat – resulting in fewer inbound shipments. Ore intakes were mainly lower in the first six months of 2018. Including the third quarter, the tally in this segment falls almost 6% short compared to the same period last year. However, intake is expected to pick up in the months ahead against the background of increased European steel production combined with low local ore reserves. Coal throughput fell by 4.6% compared to last year. The demand for fuel coal decreased as a result of the extraordinarily warm summer, the rising price of CO2 emission allowances and further growth in the renewable energy segment. 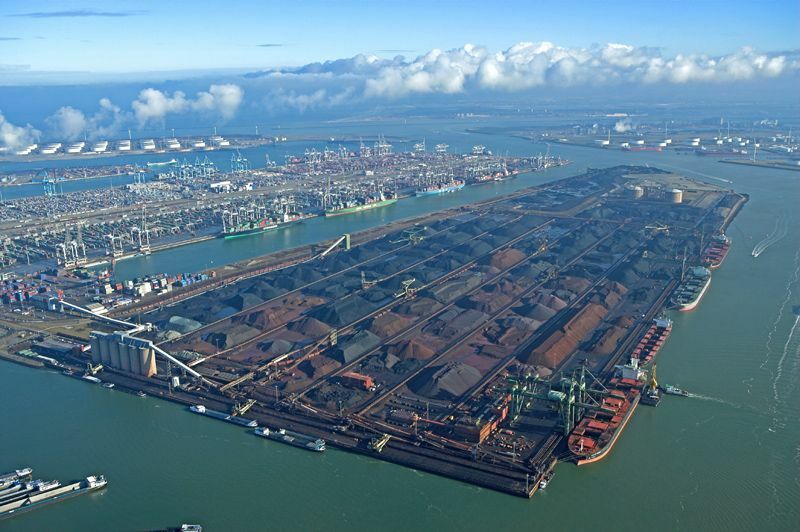 On the other hand, the port did see a higher intake of industrial coke to fuel the increase in steel production.